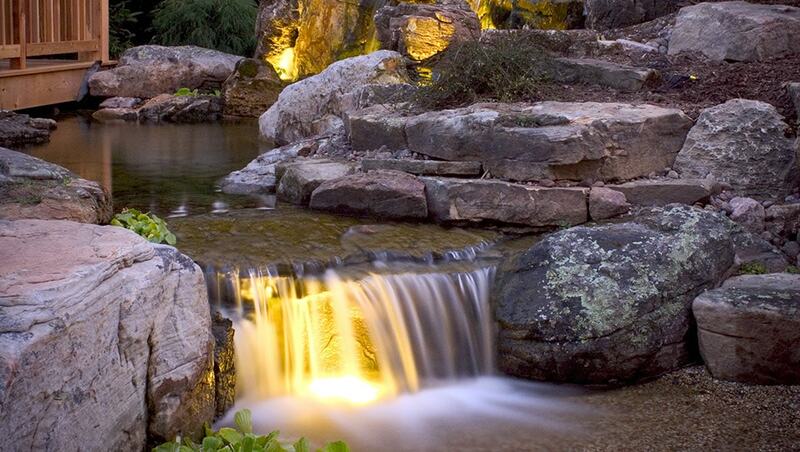 Whether you’re looking for upgraded lighting to enjoy your backyard pond at night or you want to install a stream to entice local wildlife, the team at Great Lakes Pondscapes can walk you through the process. 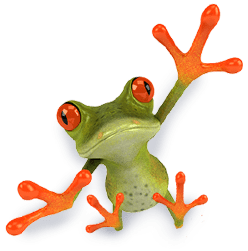 Aiming to understand your needs and – more importantly – what you’d like to get out of your backyard pond, we have a wide range of experience with a number of the most popular pond enhancements. Allowing you to experience the joys of your backyard pond at night, our pond lighting options utilize LED light fixtures with a 40,000 hour lifespan to ensure that you can enjoy your outdoor haven for years to come. Streams are a great way to lure local wildlife – including birds, butterflies, and dragonflies – to your backyard pond. 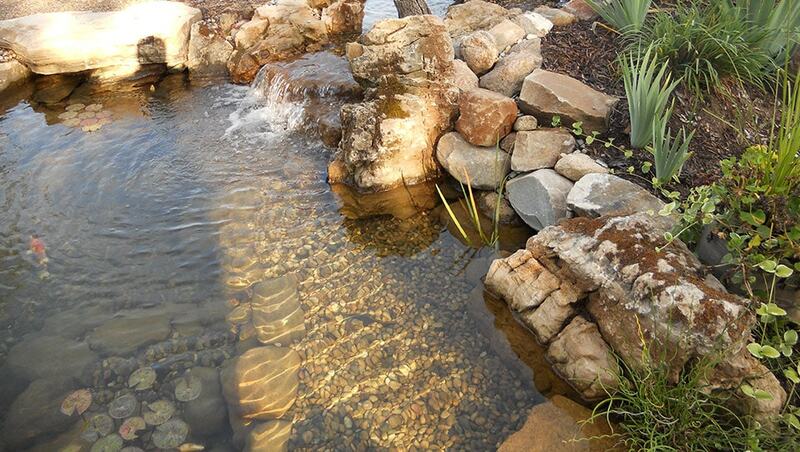 Adding a burst of color, streams are also beloved by pets, who enjoy access to the fresh, naturally filtered water. Fish and koi ponds are among the most beautiful in existence, allowing for an unparalleled range of movement and color. 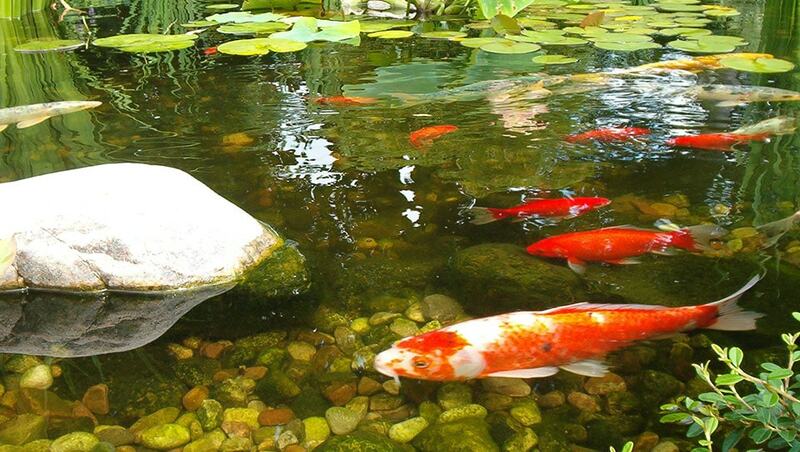 Available in a wide variety of shapes, sizes, and colors, fish thrive in all outdoor environments, are low maintenance, and add a lively, dynamic element to your backyard pond. To accommodate fish, Great Lakes Pondscapes can install a fish cave into one of your pond’s shelves, creating a seamless, natural look that serves as a shelter from predators and sunlight for your pond’s fish. Aquatic plants are the perfect addition to your backyard pond, increasing beauty and helping to balance the pond’s ecosystem. Performing vital biological filtration functions, they remove nitrogen, nitrates, ammonia, and other minerals that could otherwise imbalance – or damage – your pond. In addition to this, they provide food and shelter for the fish and wildlife that call your pond home. 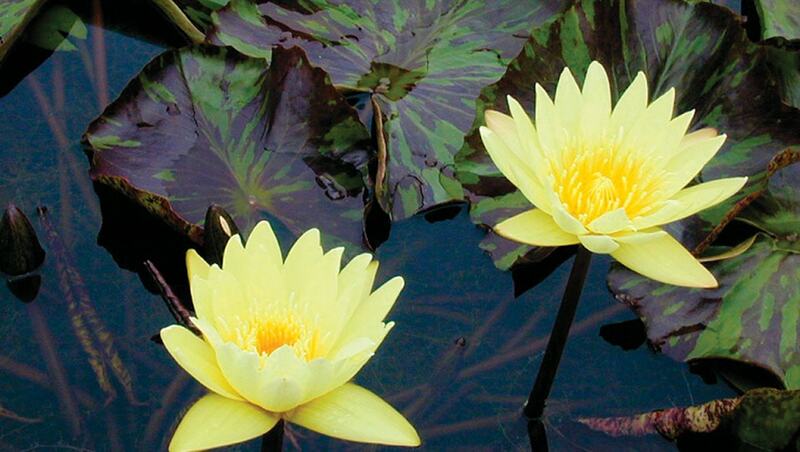 Great Lakes Pondscapes can help you select and place the perfect plants for your pond, ensuring that you – and your pond’s inhabitants – get maximum enjoyment out of your backyard haven.